Teague calls the PS4 beautiful and notes the improvements on the DualShock 4 but says the two are not cohesive. Design consultancy company Teague worked on the original Xbox and its controller, both of which have changed tremendously since 2001. PlayStation has changed quite a bit, too, and Teague has been around to see the transition. The company offers its review of the PS4, calling it a "beautiful console and a much improved controller, but it's almost as if these two components were designed discretely, and they never combined to create a truly cohesive system," the company told Fast Company. 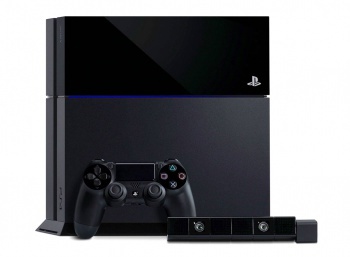 Teague notes the slim look of the PS4 is similar to the well-received PS2 slim model. However, the company noted it did not like the angular body of the PS4 in conjunction with other devices: "On its own we liked the effect-it adds visual interest and energy to the form-but is that really the best choice for a box that will likely live side-by-side with the rectangular boxes that fill most of our living rooms?" The company had lots of praise for Sony's new controller. It's "solid, not light and toy-like like the previous generation" with the joysticks spread further apart. One Teague designer disliked the touchpad and said it resembled a "flip-up door," but overall the team said the controller both looked and felt good. Teague ended its review with a critique of how the console and controller do not appear cohesive because the PS4 uses square grid-like patterns while the controller uses circles. The controller is also more gray than black while the console is black-on-black. Creative director David Wykes said of the loss of the controller's iconic look, "It looks like a piece of clay that's been worked with too much." Do you find Teague's assessment fair?